Ask anyone who has ever visited Highlands House and they will tell you we're so much more than just a care center for the elderly - we're a home. 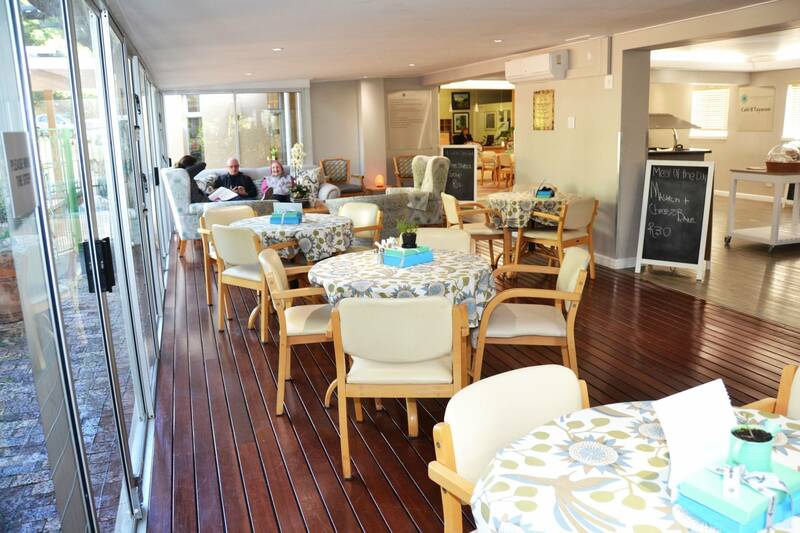 Situated in one of Cape Town's most tranquil suburbs, for more than 100 years, we have provided our residents with the physical, emotional and spiritual care and support they need. 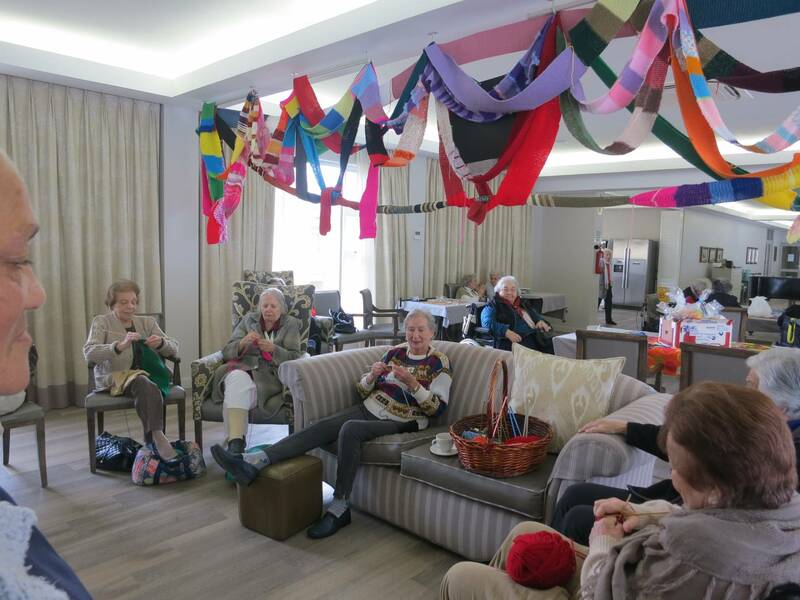 Residents between the ages of 60 – 100 plus are cared for according to their physical, emotional, social and spiritual needs. 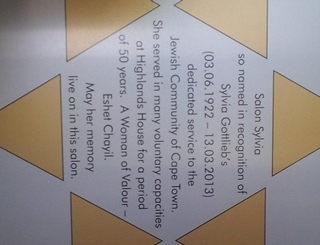 The building is home to the elderly parents, siblings, relatives and friends of many of Cape Town’s Jewish Community. 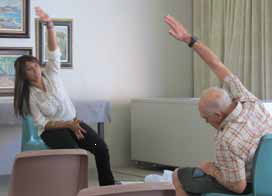 Our staff provide care in terms of modern geriatrics. The emphasis is on wellness and health and each resident has an individualized care plan. Our care is based on our holistic philosophy that ageing is a normal part of living and is another experience along the continuum of life. We see each individual as a whole person with emotional, physical, and spiritual needs. The safety, comfort and well-being of our residents are of the utmost importance at Highlands House which is why our experienced staff offers care twenty-four hours a day. The medical needs of residents are attended to by Professional Nurses, who run a clinic, visit residents in their rooms if necessary, liaise with general practitioners and manage the residents' medication. Care is the key to an improved quality of life which is why all our programs are based on the strengths and capabilities of the individual residents. Highlands House celebrated their 100th anniversary in 2016. Three new Trustees were appointed as follows – Anna Berkowitz, Johnny Copelyn and Dennis Davis. We wish them a long and successful association with the home! Highlands House celebrates Mandela Day! 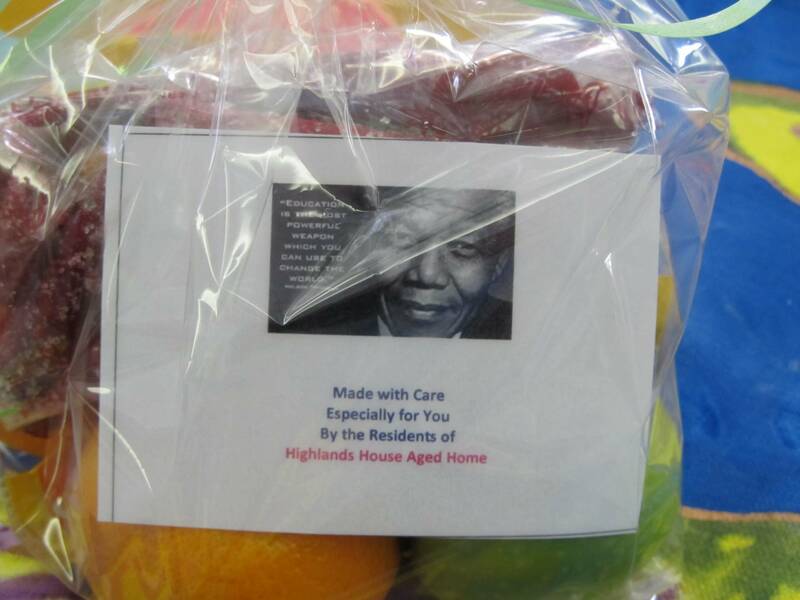 Highlands House celebrated Mandela Day by making fruit parcels and knitting blankets for the homeless organization, Souper Troupers. They are a group of people who feed the homeless as well as nourish their souls and inspire hope through musicians who come and play music to them. 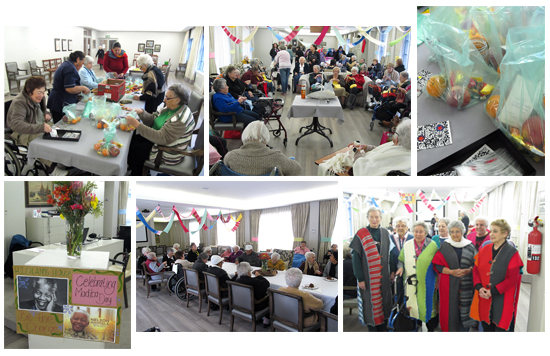 In the afternoon they enjoyed a lovely tea with the residents of NOAH, an old aged home in Woodstock. 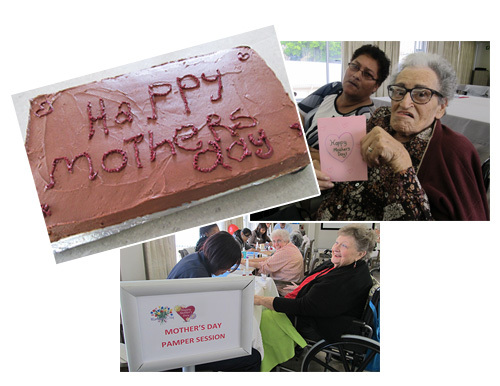 Mother's Day celebrations at Highlands House, a great time had by all! 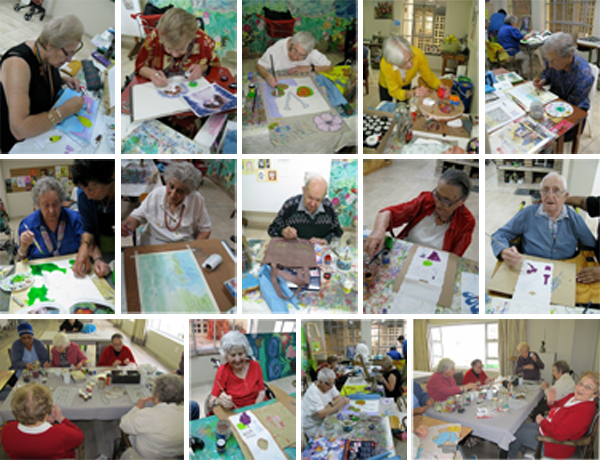 The Highlands House residents very busy painting and making jewelery! It is more than a celebration of Madiba’s life and legacy. It is a global movement to honor his life’s work and act to change the world for the better. Each year on Nelson Mandela’s Birthday, Highlands House celebrate by giving of their time to charity in his honor, symbolically 67 minutes as Mandela gave 67 years of his life to make the world a better place. 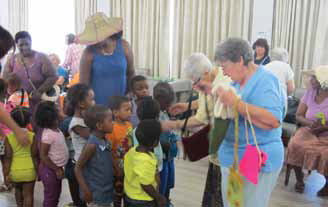 This year the residents heeded the call to duty on Madiba day by gathering in the Susman Lifestyle Centre to do something for the less fortunate in the Cape Town community. 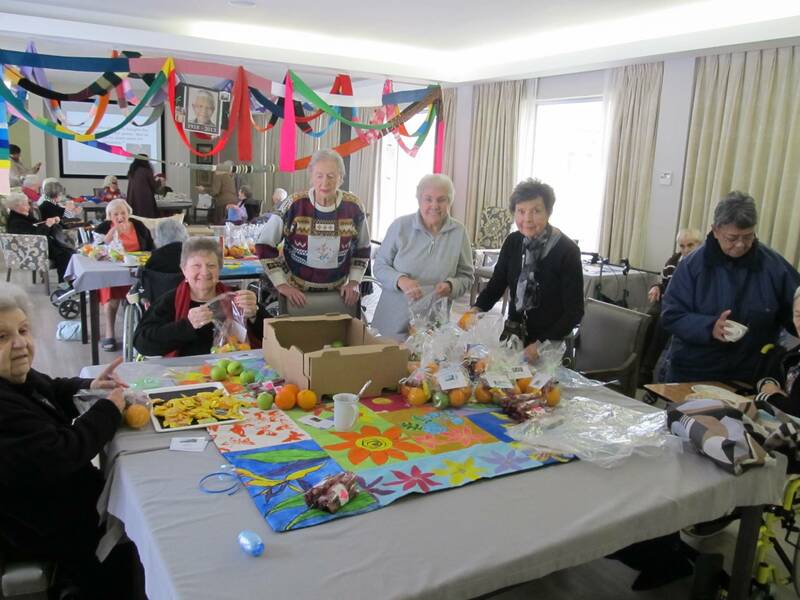 For sixty-seven minutes and more, residents packed fruit and edibles for the Noah organization, while others packaged jerseys and beanies for Nazareth House. Each gift was given a personal touch with a bow and a personalized notelet. A few days’ prior blankets knitted by residents were handed over to the Ambassador of 67 Blankets for Madiba, for distribution to the needy. The year started off with a bang and Highlands House has been abuzz with new activities and changes in staff. In February, they said Farewell to Riva Kaufman, their assistant Social Worker and Joan Butler their Staff Development Manager who both retired and welcomed their new Social Worker, Lana Van Wyk and Occupational Therapist, Anisha Icharam. They also welcomed a new volunteer, Diane Moretti, who gives her Monday mornings to the residents. Diane was born in The Democratic Republic of Congo. Her family moved to Belgium and then to South Africa where she completed her schooling and her Bachelors in Political Studies at UCT. After working in advertising and finding it ‘soulless’, Diane moved into teaching French and English and doing language translations. Over the past few years Diane has become interested in Judaism and has been learning about it. She also decided to give back to the community and started volunteering in January. She loves spending time with the residents at Highlands House and feels that they have so much to give back through their life experiences and wisdom. Highlands House thanks Diane and all their volunteers for their time and help with the residents! 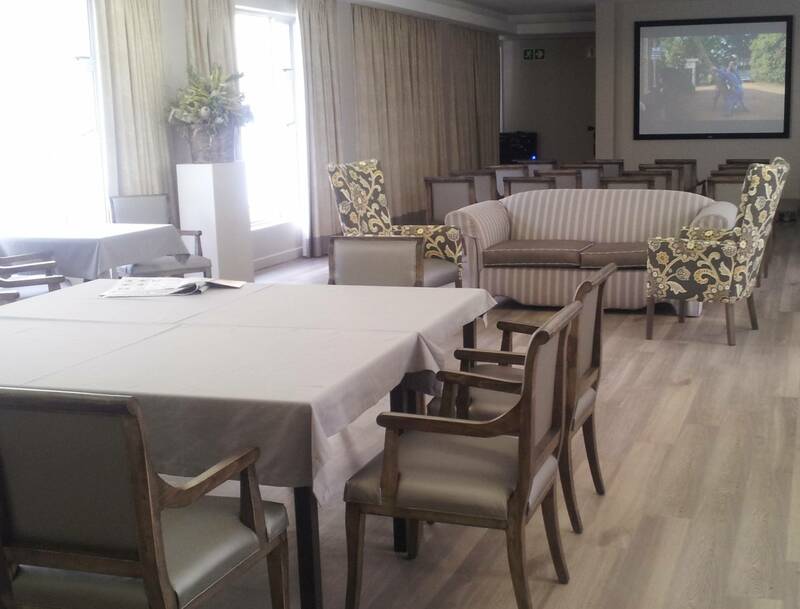 2013 Highlands House has recently refurbished and up-graded their Social Activities Centre. 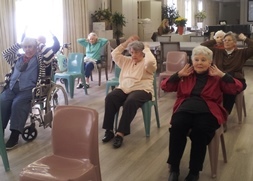 The new area, known as The Susman Lifestyle Centre, is the hub of the home where the residents spend a great deal of their day and where activities including guest speakers, movies and discussion groups take place. 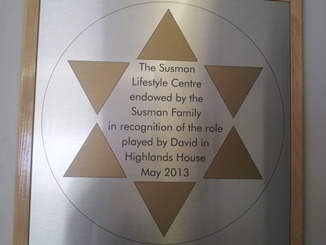 The Susman Lifestyle Centre has been endowed in the name of the late David Susman who played a pivotal role in ensuring that the Home reached the high standards that everyone has come to expect and appreciate at Highlands House. Highlands House is proud to be recognized as one of the leading Homes in South Africa. Deposited in an orphanage when she was 5 by a recently widowed and impoverished mother, Sylvia was spotted by a big 8 year-old boy who saw her crying on the stairs as her mother left. He came up to her and said, ‘stop crying, I will look after you’. The big 8 year-old boy ended up being her husband. Sylvia and her husband Sam were both raised at Oranjia, where they fell in love as children. They were married for almost 70 years and had 3 children. 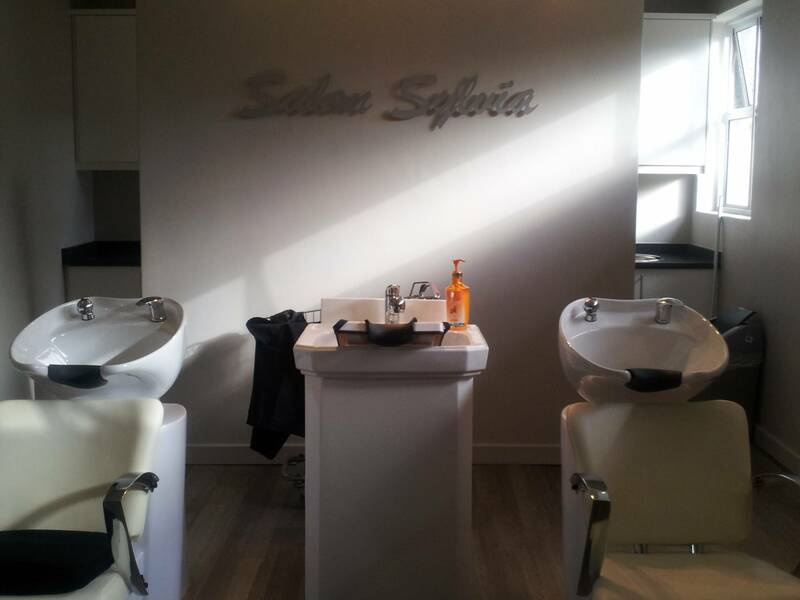 For 50 years, up until she passed away, Sylvia Gottlieb spent half her day at Highlands House looking after volunteers, overseeing the daily running of the hairdressing salon and taking care of administrative duties. From an early age Sylvia wanted to give back to the community that she felt saved both her and Sam’s lives. Her community work began with an old boys and girls union, established at Oranjia during the second World War. She then joined the Oranjia Committee on which she served for 71 years as a life member. She later became a member of the Jewish Board of Guardians serving as past-president and then as a Trustee. In 1963, she was approached to help out at Highlands House and join the committee. To quote Sylvia, ‘I want to make sure that the residents feel good about themselves and look good for their families.’ In addition to her tireless work for the community, Sylvia also worked as Admin Manager for OK Bazaars for 35 years.